It’s time for a big shake-up among the charity sector – to avoid the public being misled and ripped off. I recently read about a hospice charity that raised £1.45 million in three years but spent just £79,000 on those it was meant to be supporting. According to the Charity Commission, most of the cash that people believed would go to beneficiaries of Kent-based Hospice Aid UK actually went to a fundraising agency it employed, together with government and staff costs. There are way too many badly run organisations that purport to be charities but, in truth, exist for their own sake. 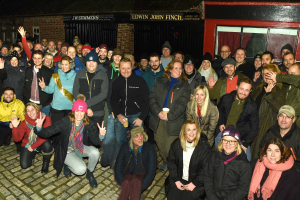 I firmly believe there should be a cap on Gift Aid so that billionaires can’t give huge amounts to pet projects – let’s say a pottery museum – which, in turn, means Joe Public has to donate 25% through Gift Aid too. That’s outrageous, completely wrong and really must be stopped. They are entrusted with money from the public via Gift Aid when, in truth, they are businesses or personal interest vehicles that avoid paying tax by claiming to be charities. I would suggest that a qualifying period – maybe two years – be introduced for organisations to qualify for Gift Aid, in which time they have to prove they are well run and are a charity in the true sense of the word. Many of us need to change our thinking and stop automatically believing that all organisations calling themselves charities are “good” and “saintly”. People tend to go all fuzzy over charities but they really shouldn’t for many reasons – for instance, Premier League foundations that are basically extensions of a football club’s PR arm. The truth is I don’t know how many “charities” there are that aren’t giving profits to charity in the way that those who support them would expect. The reason I don’t know is part of the problem – because there’s simply not enough transparency in the charity sector. 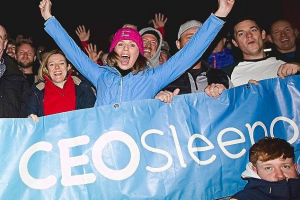 CEO Sleepout, the small but national charity I chair, has hardly any costs (and no staff) so the vast majority of what we raise goes directly to the charity projects we publicly support. That’s the way it should be. But, honestly, I don’t think big costs are the problem, as long as there are much bigger profits. The problem is the degree of transparency that allows people to see the money that comes in versus the good an organisation achieves. I’d like to see the charity sector introduce a strong system similar to the Ofsted system that operates within schools, so the public can be informed whether or not an organisation is a good charity that deserves support. In the meantime, be careful over which charities you support. There are many amazing charities out there – but there are plenty of bad ones too!